We had great evening abroad the Sequoia where the Florida House hosted our Fourth of July party. USS Sequoia is a former United States presidential yacht used from Herbert Hoover to Jimmy Carter, who had it sold in 1977 . Today the ship is privately owned. 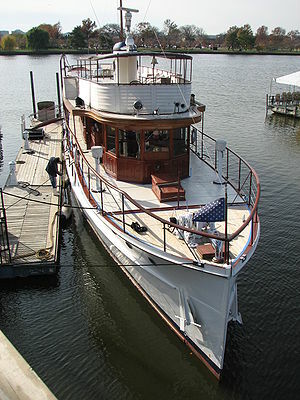 The yacht is 104 feet long, with a wooden hull, and was designed by John Trumpy Sr., a well-known shipbuilder. It includes a presidential stateroom, guest bedrooms, a galley and dining room, and was at one time retrofitted with an elevator for Franklin D. Roosevelt. In 1987 the ship was designated a National Historic Landmark. It’s a dreary day here in Washington, D.C. but we’re staying busy at the Florida House! FSU seniors Richard Rose, John Vargas, and Avital Epstein are here this week working on a documentary about the Florida House. We’re really excited to have them here! It’s a great opportunity to spread the word about the Florida House! The documentary should be done by the beginning of next year so keep visiting our social media pages for updates. Many thanks to the congressional offices of Bill Nelson, John Mica, and Cathy Castor for their help in arranging interviews and filming at the Capitol! 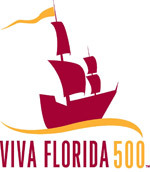 Another exciting opportunity for the Florida House is the Viva Florida event in 2013 showcasing Florida’s 500th year commemoration. Kurt Browning, Florida’s Secretary of State, is working with the Florida House and the Florida Humanities Council to help prepare for the celebration. More information on the event can be found here: www.Fla500.com. If you would like more historical information, you can also visit this website, dedicated to Florida’s history and specific celebrations throughout the state: www.visitflorida.com/viva. Right now we’re getting ready for our annual fall board meeting down in St. Petersburg at the famous Venoy Hotel. We’re really excited about getting into fall weather here in Washington, D.C.! Here’s to hoping everyone has had a great start to October! Fernando here for the Florida House! I apologize for my absence in the last couple of weeks-it’s been so dreary around D.C. it’s been hard to do much! Luckily for us, Floridians know how to deal with the humidity and rain so we’ve still had a good amount of visitors. 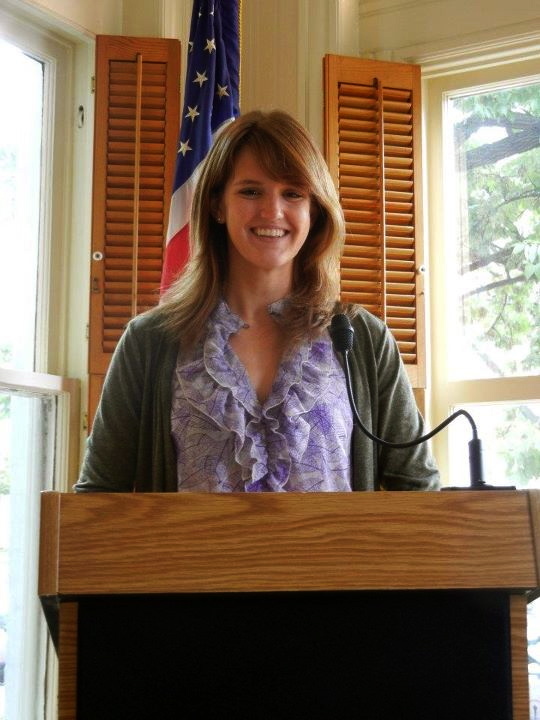 I wanted to write today to talk to you about our new intern, Lindsay. Lindsay spent her summer in New York City for a big PR firm and got her degree in Public Relations in August from the University of West Florida (for all of our Pensacola followers out there!) As you may have seen, our Facebook page has been given a boost and we now have a Twitter! I would like to take all the credit, but Lindsay has definitely had her hand in helping people learn more about the Florida House and all that Washington, D.C. and the great state of Florida have to offer. As some of you may know, the Supreme Court is back in session today. We’ve been talking about the three legislative branches of government: the legislative, judicial, and executive. With that said, we decided to find a video that helps explain how our government works. It’s by the classic School House Rock program. Check it out! Do you know how a bill becomes a law? My name is Fernando the Flamingo. 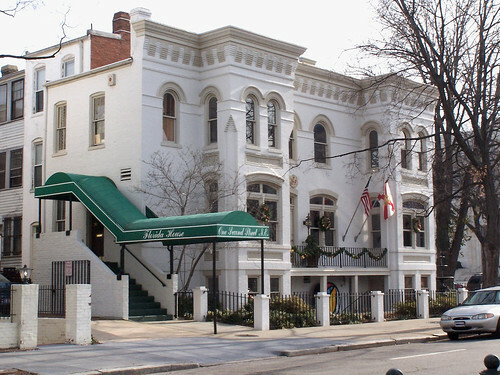 As you may already know, I live in the Florida House up on Capitol Hill. My job at the Florida House is to promote the education and culture of Florida while showing good ol’ Southern hospitality to the toursists that come to visit our house. I’ll be updating you on events at the Florida House, on Capitol Hill, and fun things I’ve done (or want to do) in Washington, D.C. The header of this blog shows a small sample of the Highwaymen artists, whose collection you can see right now at the Florida House! Lately there have been a lot of exciting events on Capitol Hill. Congress just came back into session, which means the sidewalks around the Florida House are yet again filled with people! Many of the tourists may have gone home, but we’re still staying busy around here. President Obama came into town this week to propose his new jobs plan to Congress, and today at the Florida House we had a congressional briefing with the Partnership for Safe Medicines. Tomorrow we’re welcoming Miss Florida for an event with the Everglades Foundation and are hoping a few people from the D.C. area can come and meet her!